My husband has found himself a new hobby, which is baking bread. 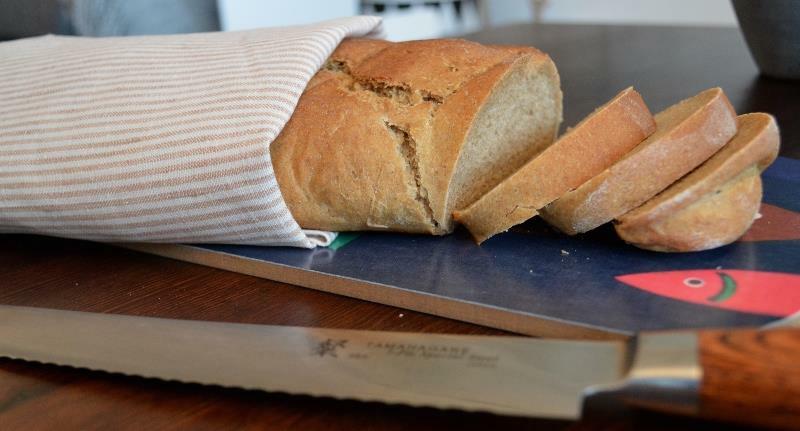 Once a week I get two loaf of fresh, home-baked bread that tastes sooo much better than what you can buy from the stores. This new-found hobby is, of course, something I intend to fully support! 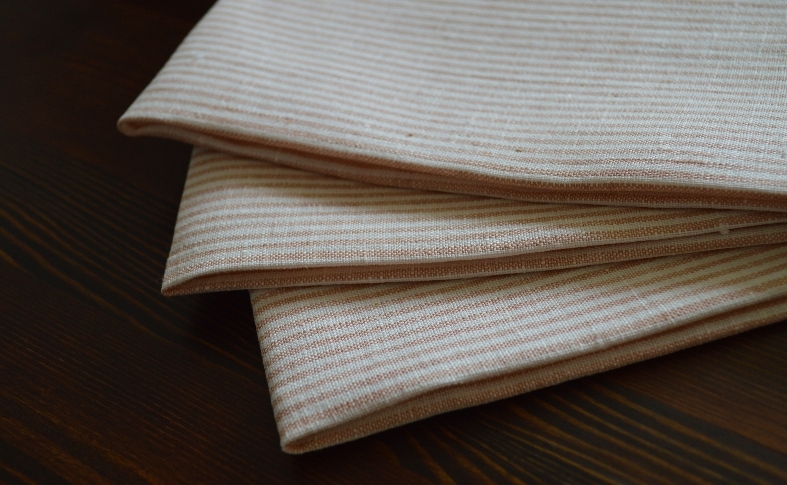 Last time I was shopping to fabric I found this wonderful white/beige striped linen fabric that would make for some great bread towels. I would’ve liked to make them a bit bigger but the amount of fabric I had to my disposal had to dictate the size of the towels. I cut three 63x48cm rectangles (1cm seam allowance) and three 9cm band for the hangers. The hangers where folded and pressed in place. The seam allowance was folded once, pressed, folded a second time and pressed again. I removed some fabric in the corners because it was too bulky and then I pinned the hangers before sewing the lining. I like the contrast between the towel and the blue hanger. 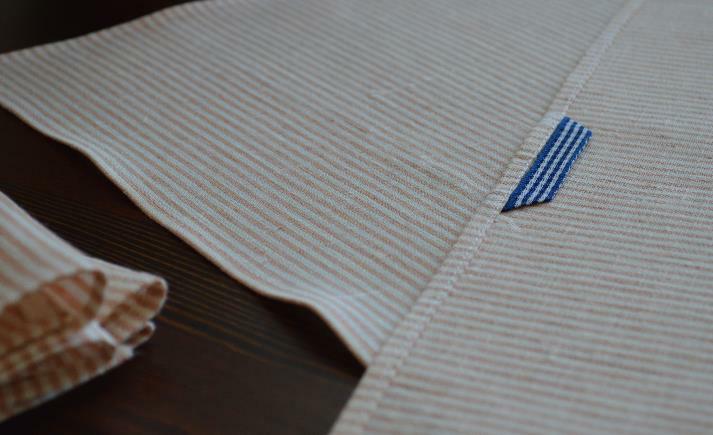 Categories: Misc | Tags: bread towel, sewing, towel | Permalink.